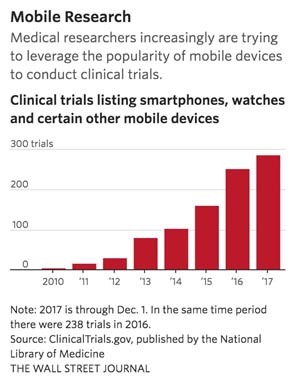 [From www.wsj.com] Since 2009, at least 940 clinical trials using smartphones, watches or other mobile devices have been registered with ClinicalTrials.gov, a database run by the National Institutes of Health. About 290 of these were registered so far this year. Researchers are deploying the technologies to detect epileptic seizures, prevent cardiovascular disease and help U.S. combat veterans adjust to civilian life. Researchers say the digital tools can make participating in medical studies more convenient for healthy volunteers and patients, helping to enroll them more quickly than in many conventional clinical trials. And built-in features such as heart-rate monitors and accelerometers can record data more accurately than study participants relying on recollection or making entries into log books, they say. But researchers also see limitations, including high dropout rates by participants, as well as patient demographics that don’t always represent the broader population – partly because of the high cost of some devices. The Apple Watch costs between $249 and $399. Apple will face those challenges firsthand with the study of the app’s ability to detect irregular heartbeats – a condition known as atrial fibrillation that often goes unnoticed and can lead to strokes. 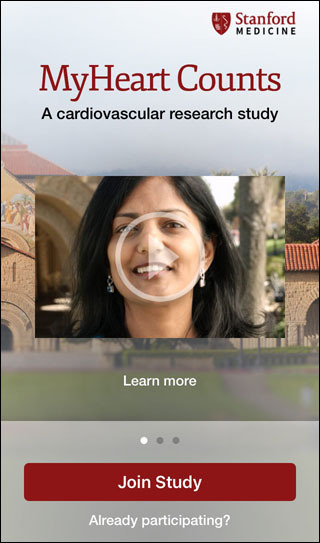 Anyone 18 and older with an Apple Watch will be able to participate and choose to wirelessly share their heart data with Apple and researchers at the Stanford University School of Medicine. [From www.pharmatimes.com] The pharmaceutical industry is big business for cyber criminals and in an industry where intellectual property in the drug development cycle runs into many, many billions of dollars/pounds/euros, large, medium and small companies need to make sure that they have the highest level of protection when it comes to crime online. For many companies the pain of a breach of information that leads to their IP or R&D being compromised can have cataclysmic effects. 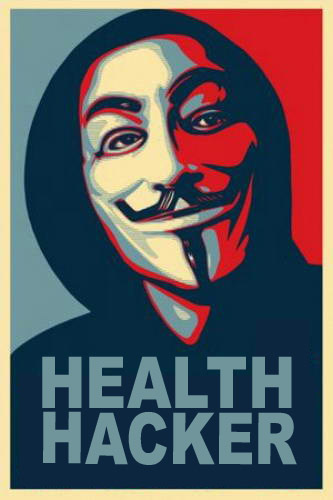 Billions are spent on getting a competitive advantage and so to lose out on that due to a lack of proper cyber protection would be a bitter pill to swallow for any boardroom. The type that damage revenues that are eyewatering, like Reckitt Benckiser’s announcement in July that £100 million of revenue would be affected as a result of a cyber-attack, so we aren’t talking about insignificant figures here. So what can be done to mitigate the risk of cyber-attack? [From www.statnews.com] One of the drug industry’s most persistent critics happens to be one of its most famous faces. 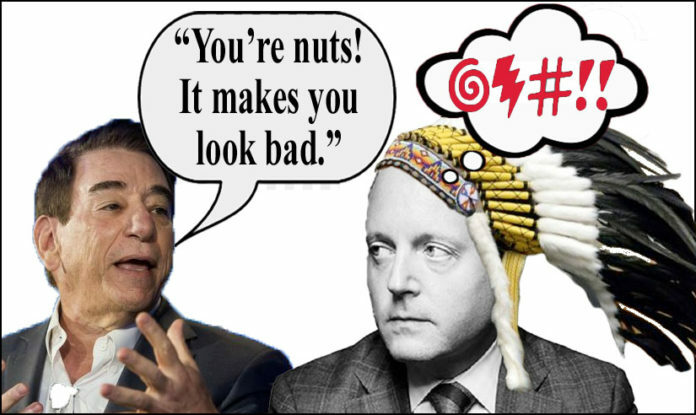 And Dr. Leonard Schleifer, founder and CEO of Regeneron Pharmaceuticals, didn’t disappoint in his latest performance. The debate, which took place at Forbes’ annual health care conference, was classic Schleifer, whose schtick routinely breaks up the monotony of drug industry panels that tend to feature wealthy white men agreeing with one another before a live audience. Previous articlePinUp: Medical Journals versus the Internet: Is the “Prior Publication” Battle Over?